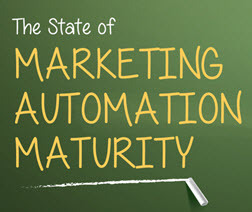 As the infographic below illustrates, results from the survey suggest that, while the typical marketing automation user makes full use of some functionality, many more are failing to follow even the most basic lead management best practices, best practices that represent some of the most compelling business rationale for investing in marketing automation in the first place. Is this a technology problem relating to ease of use? Or are companies rushing to implement marketing automation without a full understanding or strategy for how to put that technology to best use? To download a copy of the complete survey report, including detailed results along with expert analysis, visit the Spear Website. Click on the infographic below to view full size. This entry was posted in B2B Marketing, Lead Management, Lead Nurturing, Marketing Automation, Uncategorized and tagged hubspot, Marketing Automation, marketing automation best practices, marketing automation software, marketing automation survey, marketing automation tips, marketo, Marketo agency, Marketo consultant, Marketo partner, pardot on June 29, 2015 by Howard Sewell.